NASA intends to transition from the current model of human space activities in low-Earth orbit to a model where the government is only one customer for commercial services. Based on inputs from current partners, commercial and other stakeholders, NASA will shape the plan for the transition of low-Earth orbit activities from direct government funding to commercial services and partnerships, with new, independent commercial platforms or a non-NASA operating model for some form or elements of the International Space Station by 2025. In addition, NASA will expand public-private partnerships to develop and demonstrate technologies and capabilities to enable new commercial space products and services. The International Space Station will continue to serve as a core long-duration human spaceflight platform through at least 2024, which will mark almost 25 years of continuous human occupancy and successful international cooperation in space. NASA leverages the space station to learn how to keep crews healthy and productive on deep space missions, and as a testbed to develop technologies to support those missions. It is an experiential testing ground that enables discovery and development of advanced robotics, communications, medicine, agriculture and environmental science. The space station also can help enable the transition to commercial activities in low-Earth orbit. NASA recently awarded 12 contracts to industry to investigate the best way to use the space station to engage the U.S. commercial industry to take a lead role in low-Earth orbit. The portfolio of selected studies will include specific industry concepts detailing business plans and the viability of habitable platforms, using the space station or separate free-flying structures. The Moon is a fundamental part of Earth’s past and future – an off-world continent that may hold valuable resources to support space activity and scientific treasures that may tell us more about our own planet. Although Americans first walked on its surface almost 50 years ago, our explorers left footprints at only six sites, during a total of 16 days on the surface. The next wave of lunar exploration will be fundamentally different. NASA is building a plan for Americans to orbit the Moon starting in 2023, and land astronauts on the surface no later than the late 2020s. This will be the first chance for the majority of people alive today to witness a Moon landing – a moment when, in awe and wonder, the world holds its breath. However, America will not stop there. A key component of establishing the first permanent American presence and infrastructure on and around the Moon is the Gateway, a lunar orbiting platform to host astronauts farther from Earth than ever before. 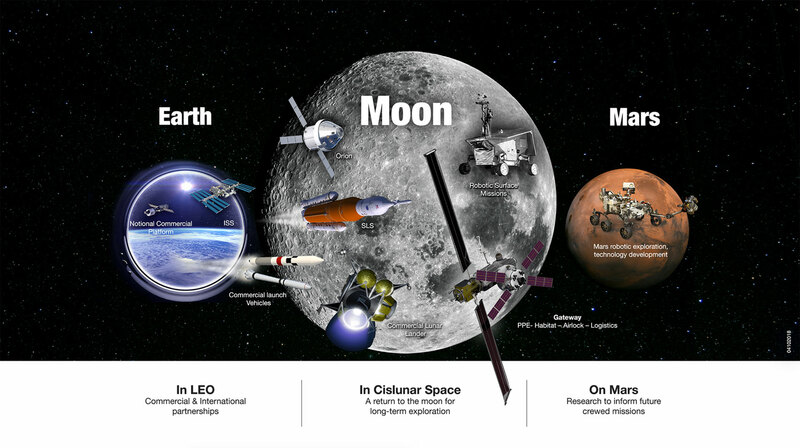 On the Gateway, America and its partners will prepare to transit deep space, testing new technologies and systems as we build the infrastructure to support missions to the surface of the Moon and prepare for the epochal mission to Mars. NASA also will study the effects of the deep space environment of the Gateway, learning how living organisms react to the radiation and microgravity of a deep space environment over long periods. The Gateway also will be assessed as a platform for the assembly of payloads and systems; a reusable command module for lunar vicinity and surface exploration; and a way station for the development of refueling depots, servicing platforms, and a sample return facility. Some elements of the Gateway already are under construction at NASA centers across the United States, including facilities in Ohio, Texas and Alabama, and at commercial partner facilities. The Gateway will be assembled in space, incrementally, using the Orion spacecraft and SLS, as well as commercial launch vehicles. The first element, providing power and propulsion, will launch from Florida in 2022. The lunar surface will serve as a crucial training ground and technology demonstration test site where we will prepare for future human missions to Mars and other destinations. Through an innovative combination of missions involving commercial and international partners, robotic lunar surface missions will begin as early as 2020, focus on scientific exploration of lunar resources, and prepare the lunar surface for a sustained human presence. By the late 2020s, a lunar lander capable of transporting crews and cargo will begin trips to the surface of the Moon. 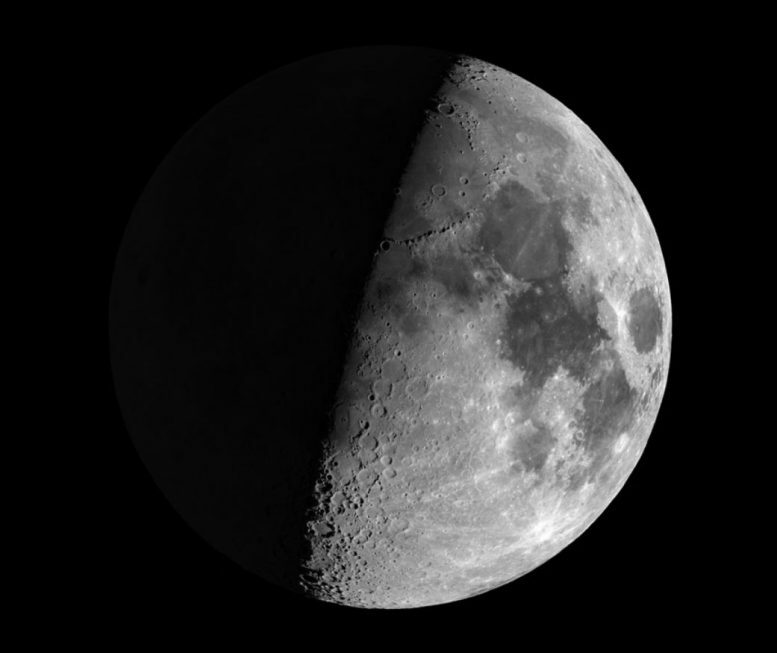 The sustainable, long-term lunar surface activities enabled by these efforts, in tandem with the Gateway, will expand and diversify over time, taking advantage of the Moon and near space for scientific exploration in the broadest sense. The first human landing on Mars – audacious in its complexity – will be an achievement recalled with awe far into humanity’s future. Key components of the Exploration Campaign already are underway and include long-duration human spaceflight on the space station, development of advanced life support systems, and continuing to lead and advance the world in deep space science missions. Overall, the Exploration Campaign focuses on a transformative approach that includes the development of technologies and systems that enable a series of human and robotic lunar missions that are extensible to Mars. NASA continues to maintain leadership in robotic exploration on and around Mars. The agency’s InSight mission now is on its way to Mars and will land in November to study the interior of the Red Planet. Development of NASA’s next rover to Mars continues to make excellent progress and is scheduled to launch in July 2020. The Mars 2020 rover will aid our search for past life and demonstrate the production of fuel and other resources that enable human exploration. We also will use this mission as a building block for a subsequent roundtrip robotic mission with the historic first rocket launch off another planet and a sample return. That mission will serve as a critical precursor to an eventual series of crewed missions to Mars planned to start in the 2030’s and culminating in a surface landing, which will be supported by the work we’ll do on the Moon in the coming years. Be the first to comment on "NASA Reveals Sustainable Campaign to Return to Moon and Beyond"